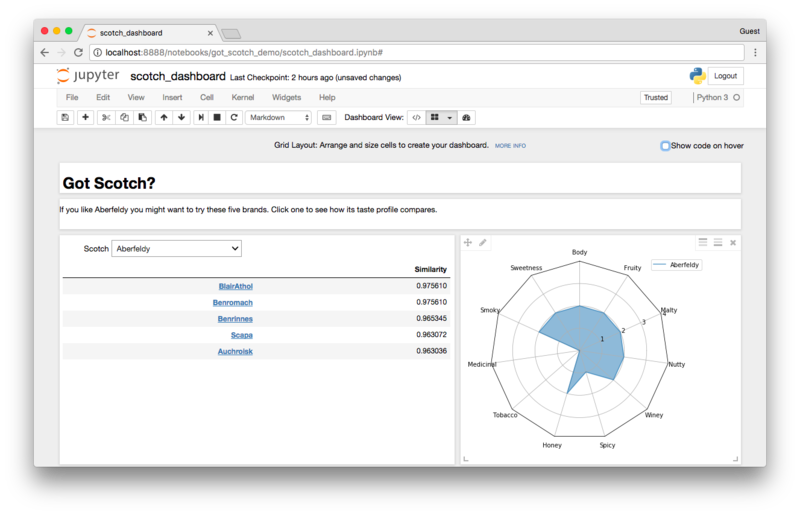 The dashboards layout extension is an add-on for Jupyter Notebook. It lets you arrange your notebook outputs (text, plots, widgets, …) in grid- or report-like layouts. It saves information about your layouts in your notebook document. Other people with the extension can open your notebook and view your layouts. For a sample of what’s possible with the dashboard layout extension, have a look at the demo dashboard-notebooks in the project repository. © Copyright 2016, Project Jupyter. Revision 3936510c.